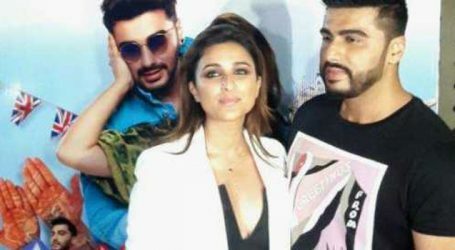 ‘Namaste England’s team kick started their first international schedule in Paris on Tuesday. It is the first installment of their international schedule. It would be after director Vipul Amrutlal Shah’s 2008 outing, ‘Namaste London’ that he will be calling shots in London. 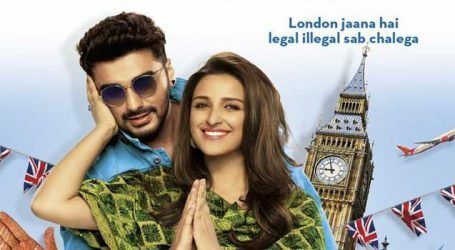 This marks to be the first international schedule of the Dussehra release ‘Namaste England’. The team wrapped their first schedule in India which was shot in various locations of Punjab. 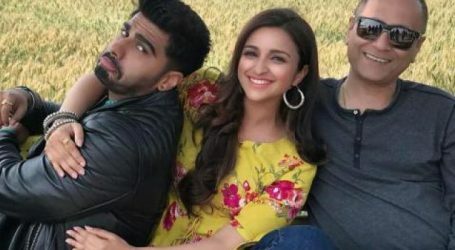 Heroine Parineeti Chopra took to her social media and announced the start of the second schedule, “Next Stop: Paris!”, “Baba feels extremely lucky shooting with me. @arjunkapoor”. Later even actor Arjun Kapoor posted a picture and wrote, “Ride 4 the day @Parineetichopra coming 2 check on u, enroute Paris #NamasteEngland”. Both lead actors kept sharing behind the scenes on their social media from their first schedule too. The shooting of the film has been effortless, with the team staying ahead of time with their first schedule. Owing to this, director Vipul Amrutlal Shah has advanced ‘Namaste England’ to a festive release this Dussehra. The film is a young and refreshing story that traces the journey of two individuals, Jasmeet and Param. In the last poster, the duo is seen all set to kickstart their journey on a bike. It tracks their love story across the landscapes of India and Europe. Starting from Punjab and moving to Ludhiana, Amritsar, Dhaka and all the way to their international locations. Produced and directed by Shah, the film is presented by Pen Movies and Reliance Entertainment in association with Blockbuster Movie Entertainers. 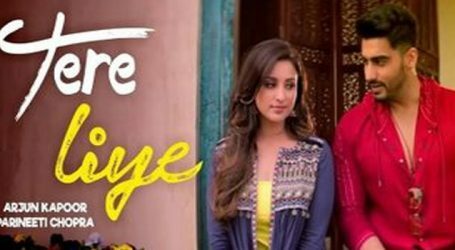 ‘Namaste England’ has already gone on floors and is scheduled to hit the theatres this Dussehra, October 19.